Here is an interesting detail that I have noticed recently while observing some original cars. 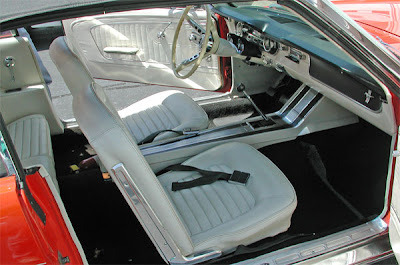 I have looked at three different Mustang convertibles equipped with padded sunvisors. Padded sunvisors, by the way, were an option. The standard visors were really thin. I wish that I had a picture of the standard ones to post, but I could not find one quickly. 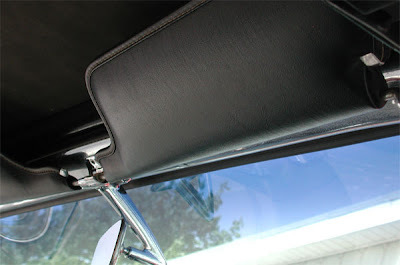 Anyway, it is generally accepted that the sunvisors on a convertible match the interior. Well, these cars have all had Black Sunvisors, even though their interiors have been colors other than black. These cars are all Dearborn built convertibles with May '64, July '64 and January '65 scheduled production dates. It would be interesting to find out more about this.